DODGE! JUMP! and KICK! It’s time to wipe vampires out! Take control of a werewolf to defeat monsters and escape from vampire in order to rebuild your world! - Focusing on speedy control and fast pace to complete a number of mission within limited time. - Jump, slide, and attack monsters! And turn into powerful werewolf! - Various maps and increasing difficulty system provide less repetitiveness and make you more interesting and focused. - Ranking included. Compete with players all over the world for high scores on Open Feint! - Buy various items at the shop to wear to make more powerful your character! 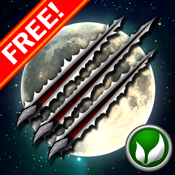 ▶ Werewolf Rush Free offers just small parts of what the Werewolf Rush really has. Why not get full version of Werewolf Rush right now, available worldwide for just 99 cents!